Following the College Football Playoff format, two of the above New Year’s Six (three are played on New Year’s Eve, and three on New Year’s Day) are host to two semifinals. The winners advance to the National Championship in Santa Clara, California. Of course, Santa Clara is just a short trip away from the San Fransisco Bay area, and is also less than an hour from beachside communities like Santa Cruz. For the National Championship in Santa Clara, Norman Y. Mineta San Jose International Airport (SJC) will be the landing spot of choice for travellers using a private jet service. The airport is located about six miles from Levi's Stadium, and it's even closer to downtown Santa Clara. Plus, it's a better option than airports in San Fransisco, Oakland and Sacramento. Are you looking for a safe, comfortable and stylish way to travel to the CFP National Championship? 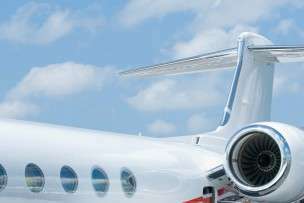 Stratos Jets can help make it happen by organizing a private jet service to Glendale. Our friendly customer service agents are available 24/7—(888) 593-9066 (toll free) or request a quote online.